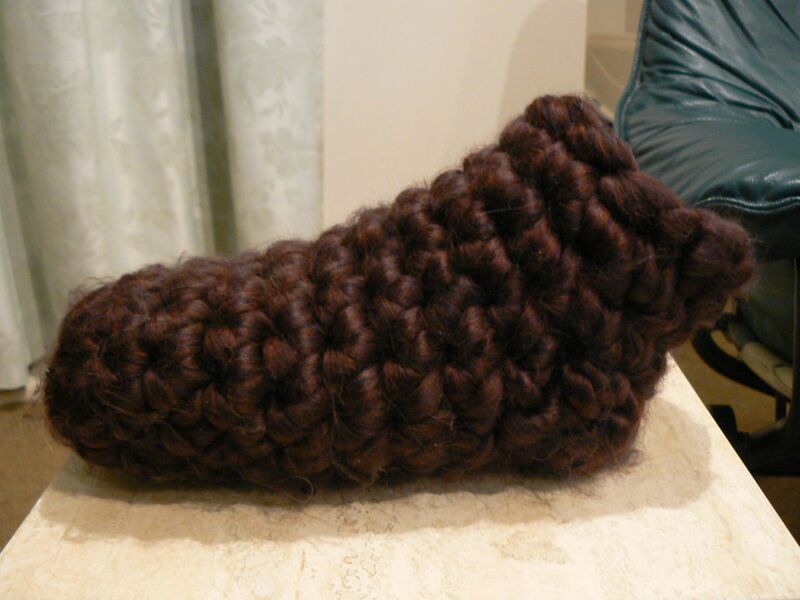 This pattern uses a 15 mm hook and VERY LARGE wool. Seriously. 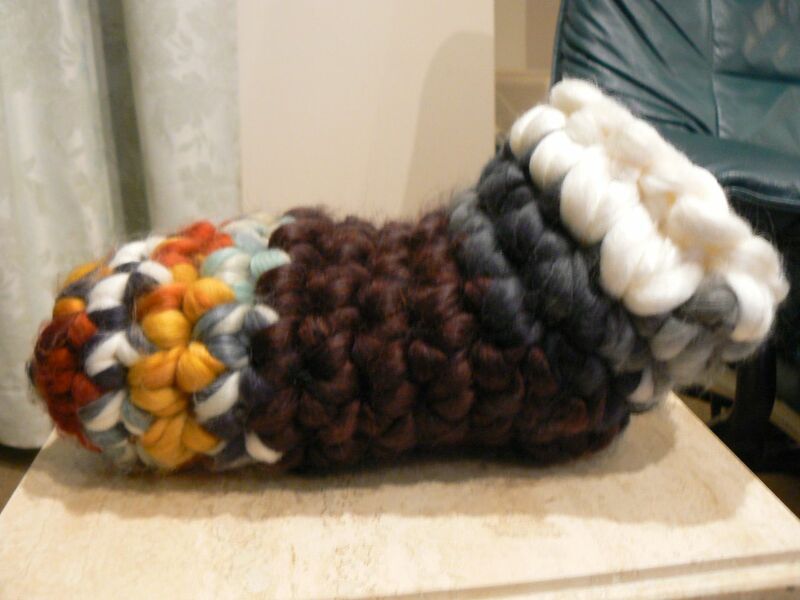 It was like crocheting with rope. It is called ‘Chunky Grande’. It comes in balls of 22 metres/24 yards. 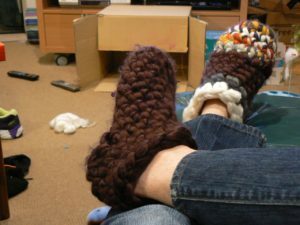 I designed these slippers because I had scraps of four different colours of Chunky Grande left. I couldn’t buy any more because I got it from America and I didn’t want to waste it. 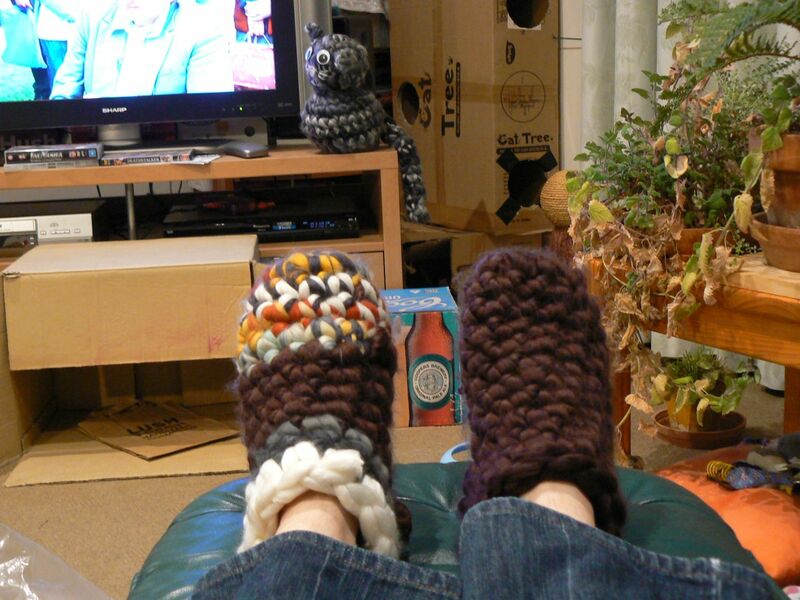 These slippers used all but a metre of the leftover wool (that was luck, not skill). This pattern is written in American crochet notation. These slippers fit me. I am a size 11 womens Australian, which seems to be the same as a size 9 mens UK. The slippers are 24 cm long. You can adapt the pattern a bit to your own size.